The Department of Biochemistry is a vibrant research community with widespread, multidisciplinary collaborations. 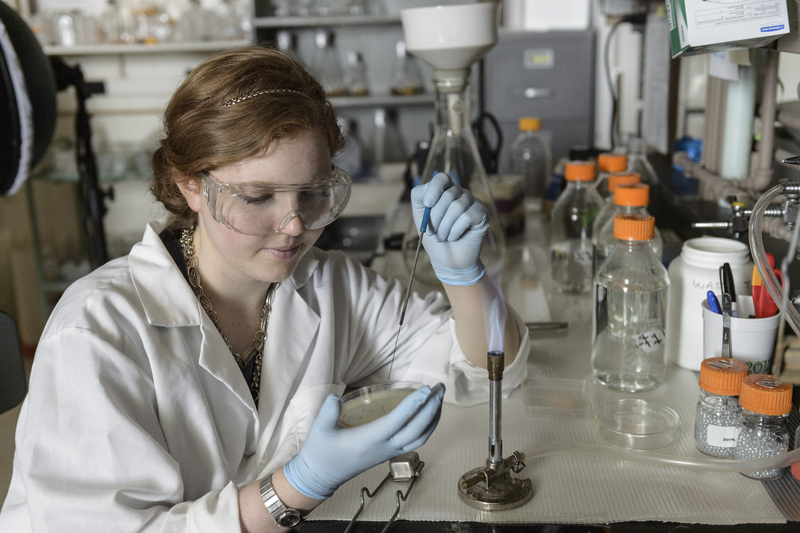 We offer both undergraduate and graduate programs with emphasis on research excellence in broad areas of science. The field of biochemistry has historically focused on molecular dissection of biological molecules and cellular pathways. Our current faculty build upon this classical approach, using cutting-edge approaches ranging from genome-wide transcriptional analyses, state-of-the-art mass spectroscopy, and x-ray crystallography in a variety of model systems including bacteria, fungi, plants and fruit flies. These approaches allow our researchers to link real world problems such as energy production and human disease prevention to defects in basic molecular processes, tackling the most pressing issues in society. The Main office for the department is located in Room 120 of the BCHM Building. For Graduate Information please see Biochemistry Graduate Program Information .